This picture appeared in Southern Living a couple years ago. 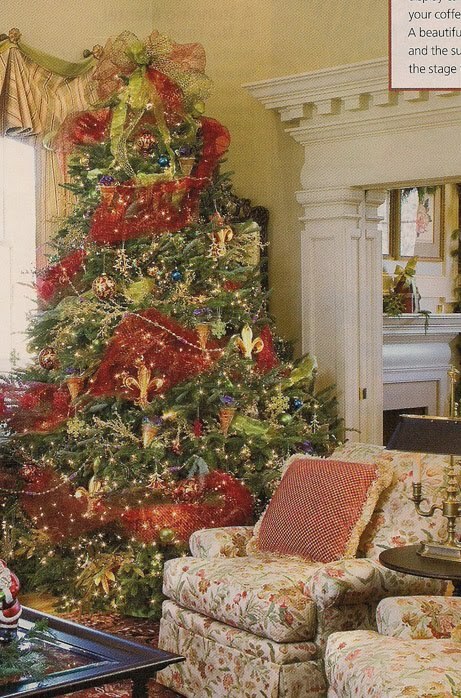 I love the burgundy tulle around the tree. I also have a thing for Fleur-de-lis. And how beautiful is the bow cascading from the top? Love it. This tree belongs to the one and only Paula Deen. It is fabulous. I have a thing for decorative fruit, too. The Santa painting on her wall was painted for her by her nephew. I think it's so fun and whimsical. 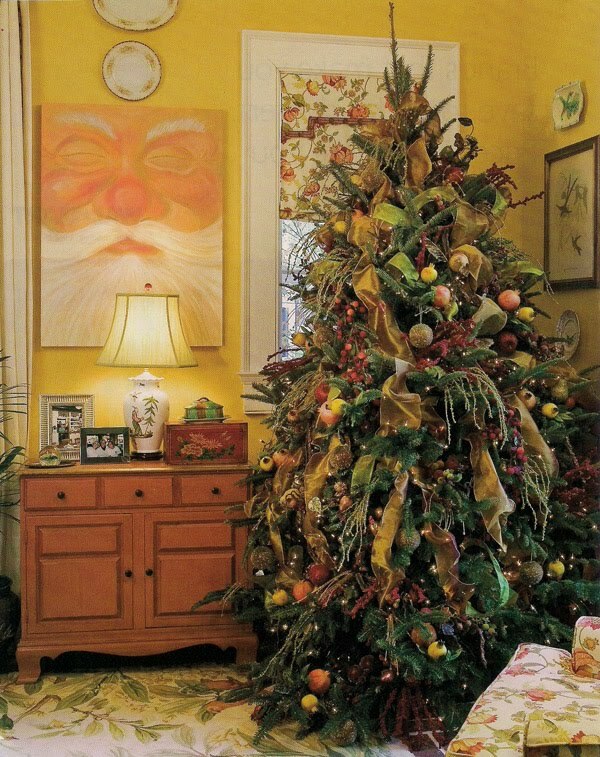 I'd love to have a tree like this in my kitchen. 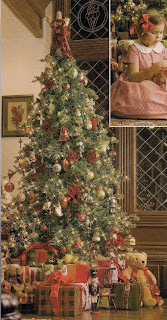 This tree is from Victoria magazine. It just so happens that I have an angel tree-topper that looks almost exactly like this. 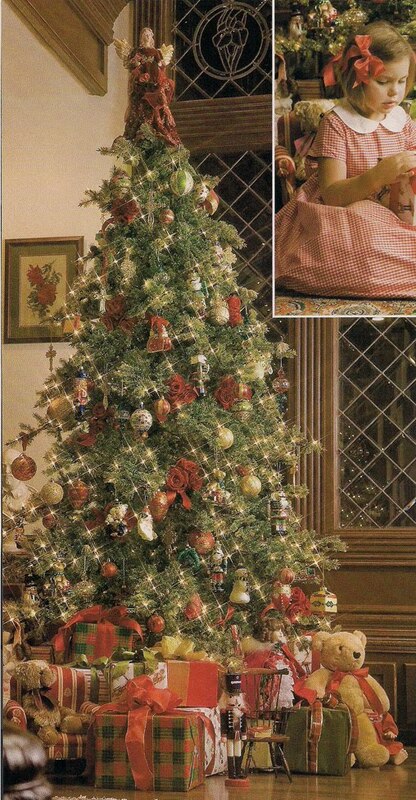 Which means, of course, that I'm destined to have a tree like this for my own. What I love the most about this are the roses in the tree. What a lovely idea! I'd love to do a garland of roses around the tree. I love the old-world feel of this tree. It's a classic. And would look lovely situated between my living room and my dining room.